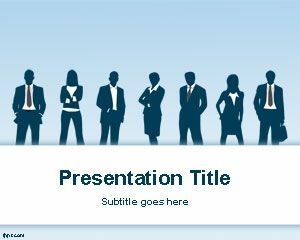 Free Business Man PowerPoint template is a free business and organization PowerPoint presentation template that contains company employee silhouettes in the slide design. 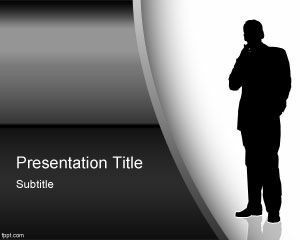 You can download this business man PowerPoint presentation template for business presentations in Microsoft PowerPoint but also to decorate your business slides or commercial activity in PowerPoint. 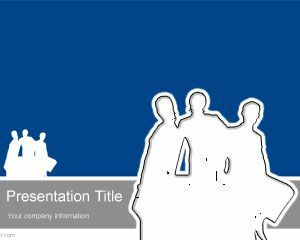 The slide design with business silhouettes shadows can also be used for stage business, mercantilism presentations or even as an enterprise PowerPoint background. 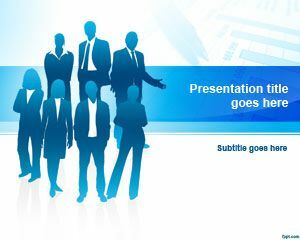 You can download this business PPT template for global business presentations or serious business PPT presentation slides in the business sector. 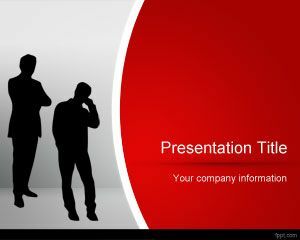 Clientele may also use this template for sales presentations as well as other commercial activities in PowerPoint presentation. 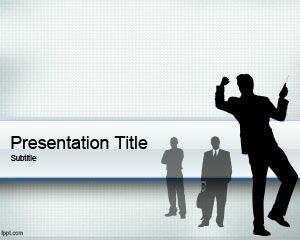 The slide design has a blue background color with curved oval effect and gradient touch. 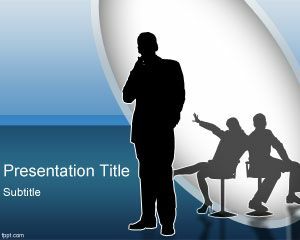 Alternatively, you can combine this with other cool designs and PowerPoint backgrounds.